“Main Entrance Closed” for years now. Closed in other ways, too? It is far easier to tear something down than it is to build and maintain it in the first place. It’s true with physical things and it’s true of government, too. 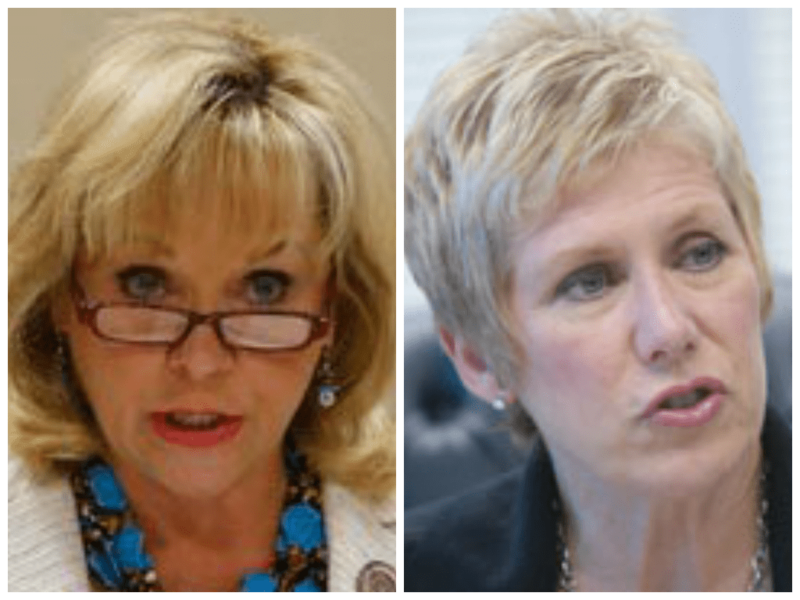 Barresi as Fallin’s Education Secretary — That OK With You? Some people just won’t go away when they should. Barresi has revealed a lot in her recent self-righteous comments that I included in the post Barresi Misses the Fact that She Is the “Power”. Those comments show us that she believes she and her allies are the righteous few – misunderstood geniuses – fighting against a stupid, corrupt rabble of teachers unions and administrators who are just trying to defend their turf at all costs. Of course, she never seems to believe that her opponents may be the ones who are right. Certainly too many education “reformers” fall into this category. While talking a “disruptive innovation” game, they bring only disruption and not for the sake of innovation. Instead, it’s about the money. 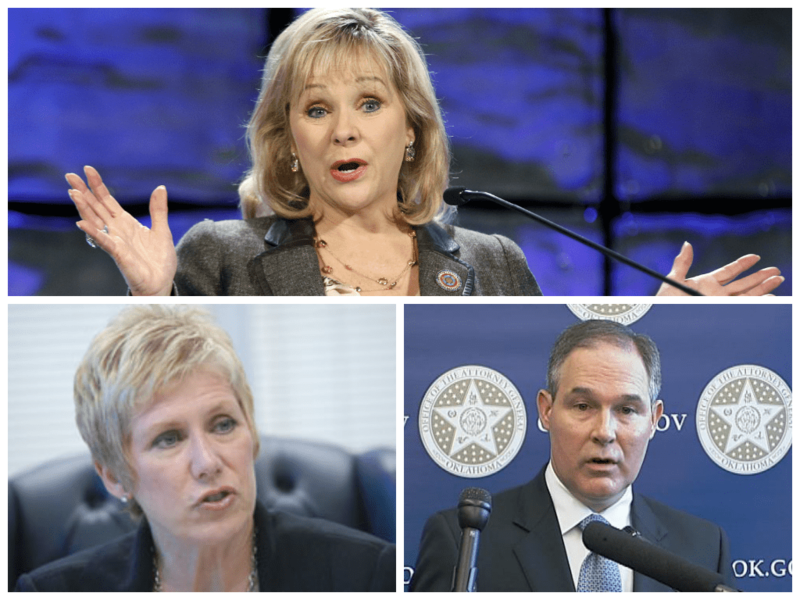 Oklahoma Governor Mary Fallin and Oklahoma State School Superintendent Janet Barresi are all for parents having plenty of options to make choices for their children’s education, until they are not for it. 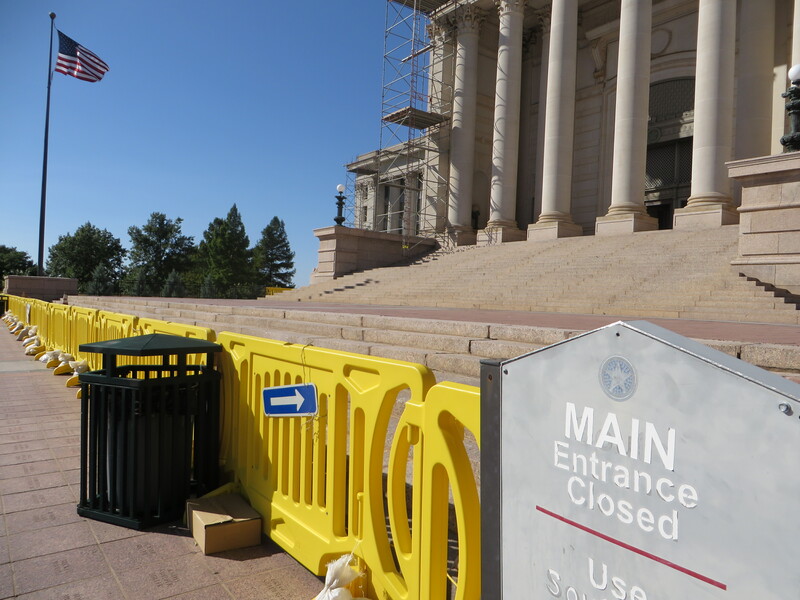 Fallin and Barresi experienced a ripping defeat in the overwhelming vote in both the House (79-17) and the Senate (45-2) to override Fallin’s veto of HB 2625. That bill, turned law today, allows parents, the teacher, and a reading specialist to come to a decision about promoting a child from the 3rd to the 4th grade. A so-called reform law passed in a previous year took control of 3rd to 4th grade promotions out of everyone’s hands and placed it solely on a one-day, one-time standardized test. Never mind what that student had done during the rest of the school year. So, after a day of lobbying hard outside of both chambers, the most votes that the Fallin and Barresi staffs could round up to support the veto were 17 in the House and 2 in the Senate. Oops. Congratulations to the House, and the Senate for an amazing show of bipartisanship and reason. 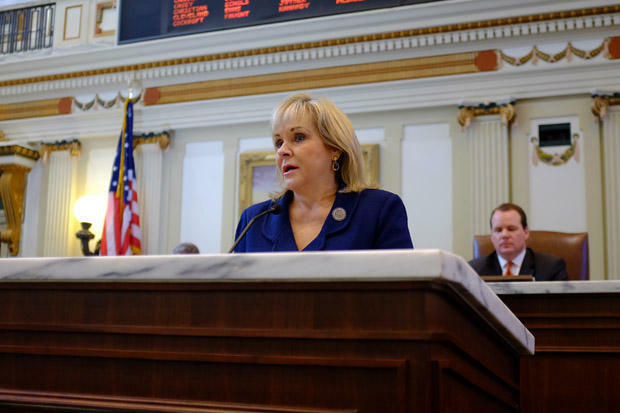 First Governor Fallin’s office released an angry statement excoriating anyone who was for the bill, especially the representatives and senators who voted overwhelmingly to override her veto. It was the usual blah, blah, blah of “failing our children”, meaning that we are not punishing them enough for being on an IEP, or for being English language learners, or being poor, etc. Today’s action is a pathetic and outrageous step back and returns us to a failed system of social promotion that has served the education establishment and little else. I applaud Gov. Fallin for her steadfast support of our children. Her veto was absolutely the right thing to do, and the legislature’s override of it was absolutely the wrong thing to do. How dare we take the control of a child’s education out of the hands of a corporation that sells millions of dollars worth of tests to Oklahoma! And then we gave it to parents and teachers and people who actually professionally know about the science of reading! Pathetic and outrageous! Found on the SDE Website today! But parental control has not always been anathema to Fallin and Barresi. In fact, they were stoked about it, until their corporate handlers told them this week to stay with the plan of blaming teachers and showing just how bad public schools were. That meant flip-flopping on that parent choice thing. In the past several years we have heard them repeating well rehearsed lines developed by the Heritage Foundation about “school choice“, which is meant to help our poor, suffering parents by allowing them to just choose any school that they want and have complete control of their child’s education. 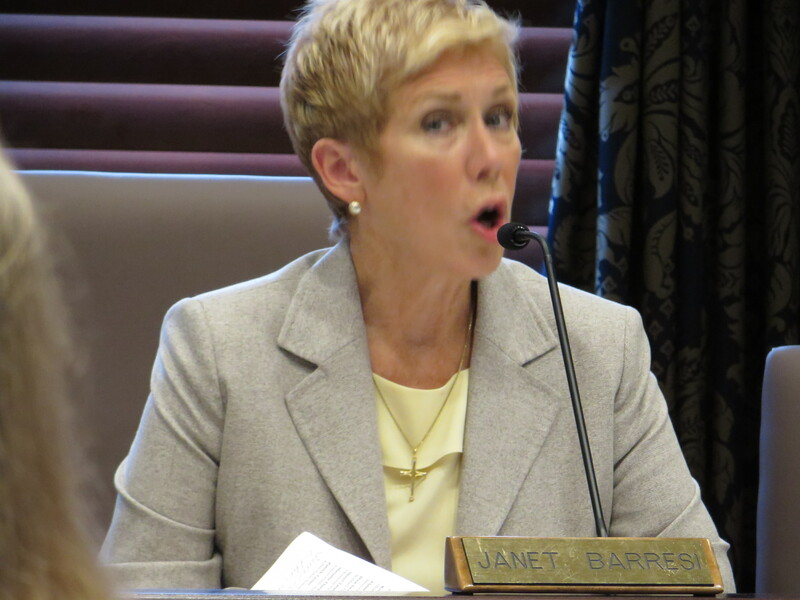 In three earlier posts here, here, and here I showed how Barresi was attempting to push through Senate Bill 573 claiming the virtues of expanding charter schools throughout the state as offering parents more choices to help develop a better education for their children. With great effort from a number of Oklahoma education bloggers, the OEA, education activists, and concerned parents, that bill was defeated, much to the dislike of both Barresi and Gov. Fallin. If nothing else, this flip-flopping on parent empowerment in their children’s education shows that what is presented as a deeply held principle is really just pandering to corporate interests, which are very large in this Republican-dominated Oklahoma government. Principles are good until they are not good for the big money donors, then their paid-for politicians will just have to find a new set of principles and act like they have never wavered from them. Pathetic and outrageous? Yes, Fallin and Barresi really are.